Most of my thinking about teaching lately has been about the priceless, timeless value of process in problem solving over the ephemeral worth of answers. While an answer to a problem puts a period at the end of a sentence, the beauty and worth of the sentence was the construction, word choice, and elegance employed in sharing the idea at the heart of the sentence. Just as there are many ways to craft a sentence–from cumbersome plodding to poetic imagery–there are equally many ways to solve problems in mathematics. Just as great writing reaches, explores, and surprises, great problem solving often starts with the solver not really knowing where the story will lead, taking different paths depending on the experience of the solver, and ending with even more questions. I experienced that yesterday reading through tweets from one of my favorite middle and upper school problem sources, Five Triangles. The valuable part of what follows is, in my opinion, the multiple paths I tried before settling on something productive. My hope is that students learn the value in exploration, even when initially unproductive. At the end of this post, I offer a few variations on the problem. Try this for yourself before reading further. I’d LOVE to hear others’ approaches. Fold vertex A of equilateral triangle ABC onto side BC. Let segment DE be the resulting crease with endpoints on sides AB and AC with measurements as given above. So DF is the folding image of AD and EF is the folding image of AE. That is, ADFE is a kite and segment DE is a perpendicular bisector of (undrawn) segment AF. That gave . I also knew that there were lots of possible locations for point F, even though this set-up chose the specific orientation defined by BF=3. Lovely, but what could I do with all of that? Because FD=7, I knew AD=7. Combining this with the given DB=8 gave AB=15, so now I knew the side of the original equilateral triangle and could quickly compute its perimeter or area if needed. Because BF=3, I got FC=12. But I didn’t know the exact area, so that was a dead end. Since is equilateral, , I then thought about expressing the area using trigonometry. With trig, the area of a triangle is half the product of any two sides multiplied by the sine of the contained angle. That meant . Now I had two expressions for the same area, so I could solve for x.
Squaring both sides revealed a quadratic in x. I could do this algebra, if necessary, but this was clearly a CAS moment. I had two solutions, but this felt WAY too complicated. Also, Five Triangles problems are generally accessible to middle school students. The trigonometric form of a triangle’s area is not standard middle school fare. There had to be an easier way. Thinking trig opened me up to angle measures. If I let , then , making , and I suddenly had my simple breakthrough! Because their angles were congruent, I knew . Because the triangles were similar, I could employ similarity ratios. And that is one of the CAS solutions by a MUCH SIMPLER approach. Following are five variations on the original Five Triangles problem. What other possible variations can you find? 1) Why did the CAS give two solutions? Because had all three sides explicitly given, by SSS there should be only one solution. So is the 13.0714 solution real or extraneous? Can you prove your claim? If that solution is extraneous, identify the moment when the solution became “real”. 2) Eliminating the initial condition that BF=3 gives another possibility. Using only the remaining information, how long is ? now has SSA information, making it an ambiguous case situation. Let BF=x and invoke the Law of Cosines. Giving the original BF=3 solution and a second possible answer: BF=5. 3) You could also stay with the original problem asking for AE. 4) Under what conditions is ? 5) Consider all possible locations of folding point A onto . What are all possible lengths of ? 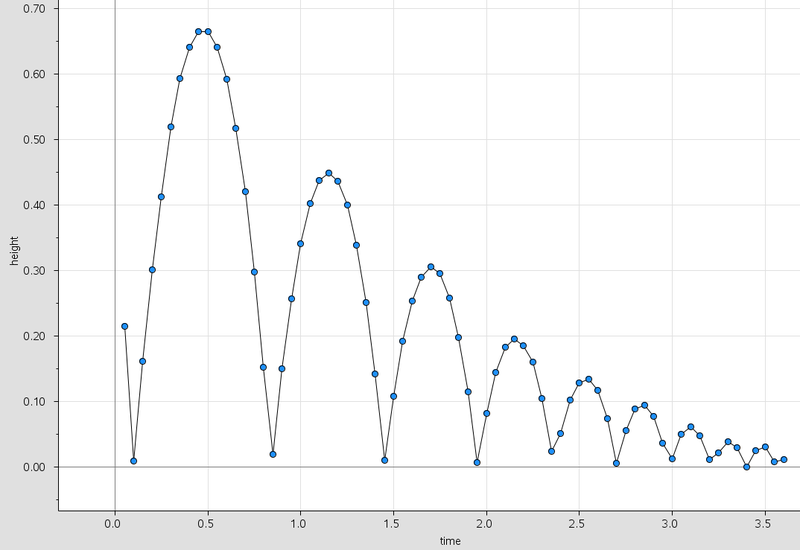 I wrote here about using a CAS to determine a the new mean of a recentered normal curve from an AP Statistics exam question from the last decade. My initial post shared my ideas on using CAS technology to determine the new center. After hearing some of my students’ attempts to solve the problem, I believe they took a simpler, more intuitive approach than I had proposed. In the first part of the problem, solvers found the mean and standard deviation of the wait time of one train: and , respectively. Then, students computed the probability of waiting to be 0.910144. The final part of the question asked how long that train would have to be delayed to make that wait time 0.01. Here’s where my solution diverged from my students’ approach. Being comfortable with transformations, I thought of the solution as the original time less some unknown delay which was easily solved on our CAS. Instead of thinking of the delay–the explicit goal of the AP question–my students sought the new starting time. Now that I’ve thought more about it, knowing the new time when the train will leave does seem like a more natural question and avoids the more awkward expression I used for the center. It was a little different to think about negative time, but they found the difference between the new time difference (-52.0187 minutes) and the original (30 minutes) to be 82.0187 minutes, the same solution I discovered using transformations. This is nothing revolutionary, but my students’ thought processes were cleaner than mine. And fresh thinking is always worth celebrating.